The MySQL INSERT Function is one of the String Function, which is used to insert or replace an existing characters with a completely new string. This function uses position argument to start replacing. 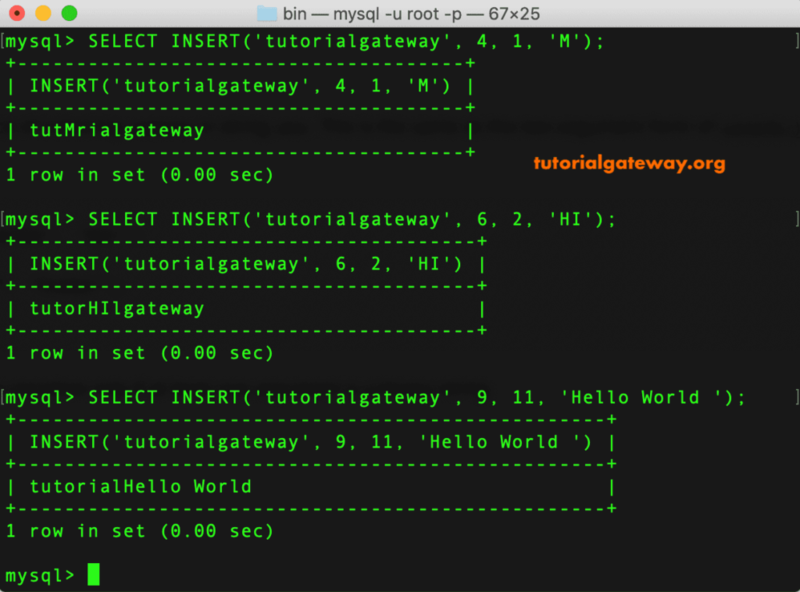 In this article, we will show you, How to write a String Insert in MySQL to insert a substring inside a string with an example. 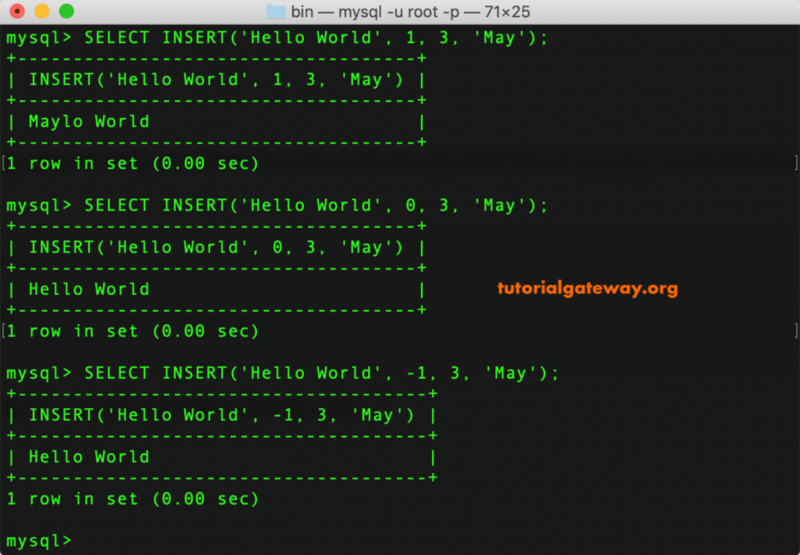 The basic syntax of the Insert String in MySQL is as shown below. Length: Number of characters that you want to replace inside a String. New_String: New string or substring that you want to insert. 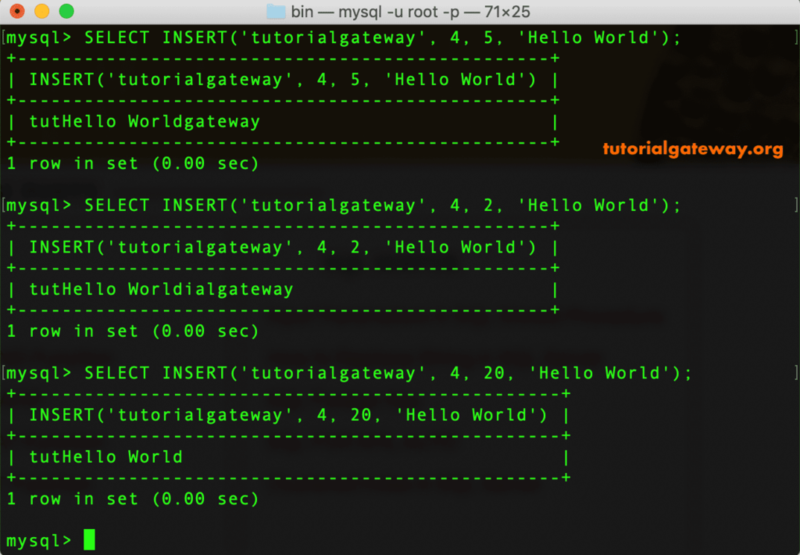 The following query will show multiple ways to use this MySQL string insert function. First, We inserted or replaced o at 4th position with M. The second statement replace ia at 6th position with HI because length is 2. Within the third statement, we replaced the characters starting at 9th position and upto 11 characters with Hello World string. In this example, we used the non existing positions such as 0 and -1 in the last two statements. As you can see, they do nothing but printing the original string. This is an another example of this String insert function.